Listen closely to your instincts as endings draw near. You are receiving a wakeup call from Spirit, letting you know that things happen in cycles and that the completions you are currently going through are an important part of the bigger picture and to trust in what is unfolding without resistance. It might feel like a huge wave is washing over you, so just let go of the desire to try to control everything and just go with the flow for a bit. Things are changing in your world. You’ve got this. Trust in yourself and your abilities to know when to just breathe, when to take action, and when to do a little bit of retrospection. Know that you are reaching towards a culmination of many different contracts. 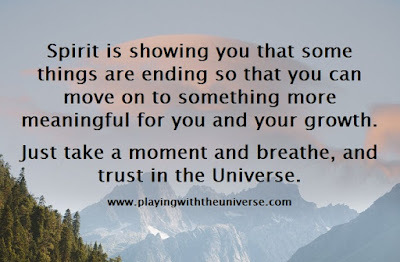 Thought for today: Spirit is showing you that some things are ending so that you can move on to something more meaningful for you and your growth. Just take a moment and breathe, and trust in the Universe. 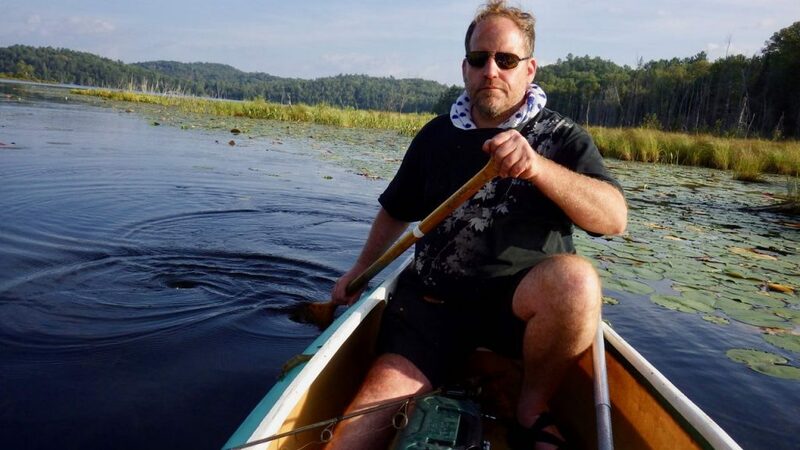 Benjamin Fulford 2019/01/28 sanple +full video: Cabal Venezuelan oil grab fails; U.S. corporation bankruptcy looms. Thank you for all your work. I think the information you share is so valuable and I know it takes courage to do what you are doing. Thank you for saving humanity. I grew up in Japan and knew crazy stories from people that tried to run for office, and now I know they were all true. I am writing you because I have a real dilemma. For the last year I have been interested in the Rosicrucian teachings, but I am concerned about the agenda of the AMORC (The Ancient and Mystical Order Rosæ Crucis, also known as the Rosicrucian Order). To me it sounds like they are genuinely trying to make the world better, but I have heard things about mind control as well. Are the Rosicrucians the “good” branch of the Illuminati? What is their real connection? I am concerned to go any further with the teaching until I know this. I would like to know your opinion and if I should keep practicing their teachings if I want world peace. I am only interested in their teachings on a spiritual level and to learn some techniques to help others. I did hear David Wilcock say that the Red Cross workers were protected by some sort of agreement. Can you tell me more about this? It is always good to follow knowledge and learn more. I believe the Rosicrucians mean well and are custodians of valuable traditional knowledge. My advice is you follow your heart and learn from them if you feel so compelled. However, if you ever encounter evil, I suggest you back away carefully. As far as the Red Cross is concerned, it is known as one of the worst charities on earth, in the sense that only about 5% of the money donated to them actually goes to the people it was meant for. Take a look at what they did with all the money they gathered for the victims of the Haiti earthquake as an example. Deus pertence a todos e não é de domínio exclusivo de ninguém. Existe apenas um Deus, que Se manifesta em muitas formas para satisfazer pessoas diferentes. Apenas sadhana (disciplina espiritual) não é suficiente para entender essa verdade. O espírito de investigação e discernimento também é necessário. Hoje em dia, em busca de interesses mundanos e questões comerciais, o que é essencialmente uno foi divido e considerado como muitos. Nesse processo, a verdadeira Divindade é perdida. As pessoas falham em distinguir o que é verdadeiro do que é falso e são incapazes de compreender a real natureza do Divino. Para consertar essa situação, fé firme é extremamente essencial. Seja firme, verdadeiro e puro. A graça de Deus não pode ser conquistada se você hesitar a cada momento e se seu coração estiver impuro. Deus julga um devoto pela pureza de coração e não pela adoração sofisticada que encena. Se você não fizer nada, mas apenas purificar seu coração, Deus entrará e brilhará! A religião organizada é desnecessária à esperitualidede. Excelentes ensinamentos dos mestres têm sido contaminados pelo controle dessas religiões. 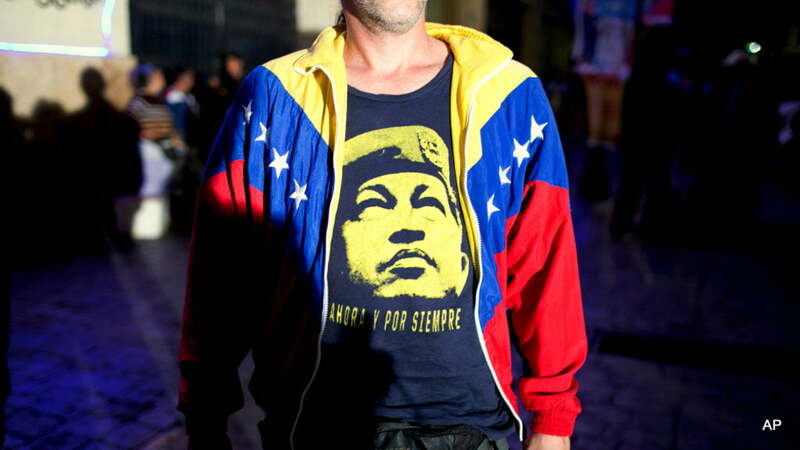 US-Led Economic War, Not Socialism, Is Tearing Venezuela Apart ~ Caleb T. Maupin. Posted January 27, 2019 by Edward Morgan. What Happens When You Default on a US Private Student Loan? 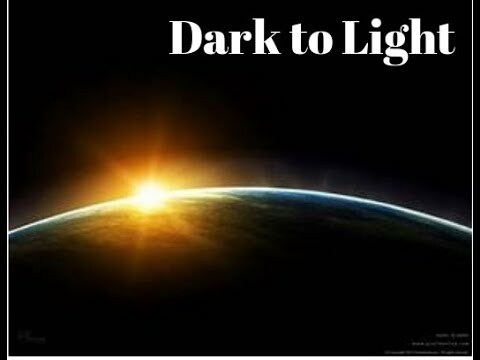 Q – Dark To Light. January 27, 2019 by Edward Morgan. When STRENGTH and HONOR meant something. When standing for our FLAG meant something. There was a time when our history was taught with PRIDE and RESPECT. When respect was given to those who serve(d), bled, and died to protect and defend our freedoms. It was when WE, THE PEOPLE, decided our future and had a voice that was heard. We are all bound by a feeling deep inside.that people in power are exploiting and abusing us, while using the powerful media apparatus to pretend they are not. All we ever wanted was to do the right thing, but they kept telling us we were wrong. We started to believe them and let ourselves forget everything that once made us strong. We elected TRAITORS to govern us. We allowed EVIL to prey on us. Those who claimed to represent us gave us false hope, made false promises. The evil and corruption only grew. to advance on their agenda of tyranny undetected, using fake narratives of social justice to neuter our resolve to fight back, and silence us with shame. If you lived through a Globalist revolution, you will remember many false promises of prosperity and justice for all, but observing only poverty, violence and death. One after another, these nations were looted for every resource the land and waters produced. Citizens who would not surrender their freedoms were threatened, marginalized or even killed, those who did were weaponized. They blamed us for destroying the environment. For not going to college. Or for just giving up. What you must learn is that it has always been THEM: a colossal mutated global criminal class who had risen and occupied every level of corporate, legal and political power imaginable. and within 8 years would have culminated in nothing less than a mass global nuclear holocaust. You may know it as The Plan. Brave Patriots set into motion a sophisticated military-grade global sting operation against the overwhelming network of corruption that led all the way to the top. By the time good people of the world learned of the frightening reality they were living in, and how close we came to the end of it all, we had already been saved. – not between nations – but between the forces of good, and the most unimaginable of evils. They defend the violent criminal gangs of MS-13? They openly promote the dismantling of our borders. They said there would be nuclear war if Trump remained in office? They encouraged violence against those who spoke out. They pushed hate, war and economic decline. They wanted to stop peace talks with North Korea. They called for Trump to be impeached, not even providing a reason. They tried to get us to hate America. But now, each day, more and more, we see they are terrified. Patriots from around the world know that if AMERICA should fall, so falls the world. That’s why we have Q. We the people, patriots everywhere, stand at the ready. We volunteer our talents willingly. God Bless America and all patriots of the world. There are many others you can find too. Don’t be a sheep. They want you divided. They have been working to divide us forever. 10 Signs of Toxic Sibling Relationships Most People Think Are Normal ~ Janey Davies. Has an Alien Signal Been Detected? SETI Research and the First Contact. There’s no law that says we have to get on with our siblings. Thankfully, most of us have pretty good family dynamics. But some people have toxic sibling relationships. So what’s the difference between say typical sibling rivalries to toxic sibling relationships? Healthy sibling relationships are compassionate, loving, willing to listen and help. They are non-judgemental and caring. They want the best for their brothers and sisters. That’s why they are happy and pleased when their siblings achieve success. They are independent of their siblings but not distant from them. Toxic sibling relationships are simply the opposite. Parents should not have favourite children. But was your sibling always praised and given the best opportunities in your family? Did they get away with murder? Did the rules not apply to them? Favouritism can lead to narcissistic behaviour. When a child always gets want they want and is never made to feel the consequences of their actions, it gives them a false sense of superiority. Do you feel like you always have to do what your sibling wants to do? If you don’t, they will sulk or get aggressive? In the end, it’s just easier to go with whatever they want? This is a form of control. Whether it is what friends are suitable for you or the type of college course you should study. If you find that you are not able to make your own decisions without your sibling getting their way, this is a sign of coercive control. This is another form of control, but it also impacts a great deal on your life. Do they get upset if you say no to one of their requests or demands? Do they make you feel guilty for saying no? Finally, do they play on your emotions and try and make you feel bad for not helping them? This is typical behaviour of a younger sibling that has narcissistic tendencies. People that think and act in a rational and logical way can quite often be deceived and manipulated easily because they just don’t think in that kind of devious way. Someone who is lazy and can’t be bothered to work themselves will use deception to resolve their issues instead. The problem here is that, of course, families are supposed to help out one another, but not to the point where one person is always benefitting to the detriment of everyone else. No one is right all the time. We all have to have an open mind, even if we think we know the truth. But some people that believe that they know what is right and won’t listen to anyone else’s opinion. This kind of closed mind can be exhausting and inevitably leads to arguments and breakdowns in a relationship. It also invalidates your feelings because you don’t feel as if your opinions and ideas are important or that they matter. Does one sibling constantly gossip or badmouth to you about your other brothers or sisters? Does this undermine your relationships with them? This is one of the worst signs of toxic sibling relationships as this behaviour can cause lasting damage. They do this to elevate their own position by making their other siblings look bad in your eyes. This is because their own behaviour is not good enough by itself, so they have to trash the reputation of others in order to look better. We need validation when we are feeling angry, unloved, frightened, anxious or sad. When someone does not take our feelings into account, they are telling us in effect that we don’t matter. We are not important. Our emotions are what drive us, they are interwoven into every action or behaviour that we take. To have them ignored is extremely detrimental to our psyche. Not only do toxic siblings like to trash their brothers and sisters to other siblings in the family dynamic, but they also like to make you feel bad about yourself. They do this by constantly criticising you. They will judge every aspect of your life and find you wanting. Nothing you do will be good enough in their eyes. Their barrage of putdowns will have a cumulative effect until you begin spending less time with them to escape the mental battles. You get friends like this, ones that you only get a phone call or a text when they need money or a shoulder to cry on. And it can be exactly the same with siblings. Do you go for months without hearing from your sibling and then suddenly out of the blue, you get an email or phone call from them? It will start off innocently enough, perhaps asking how you are, but then the real reason for the call will soon become apparent. They want something from you. Making threats is a toxic behaviour in itself. Well-adjusted people don’t tend to have to make ultimatums in order to get what they want or need in life. If your sibling is constantly making threats, it shows they do not have the mental capacity or the patience to get what they desire in a civilised way. So how do you deal with toxic sibling relationships? It may be too late to change their behaviour, but you can certainly do something about yours. Do not engage in bad behaviour, just ignore it. If you engage in it, it may encourage your sibling to carry on. It is easy to doubt yourself when you have a toxic sibling. But if you are with positive well-balanced people, you’ll be able to recognise bad behaviour immediately and not put up with it. Some toxic behaviour is quite intrusive and can take over a person’s life. By setting clear boundaries, you can regain control. Finally, there’s no rule that you have to stay in close contact with your sibling. If the situation is really bad and affecting your health, it is best to sever contact. Do you have a toxic relationship with your sibling that you would like to talk to us about? Let us know in the comments section. COPYRIGHT © 2018 LEARNING MIND. ALL RIGHTS RESERVED. FOR PERMISSION TO REPRINT, CONTACT US. Making Room, for More Light. 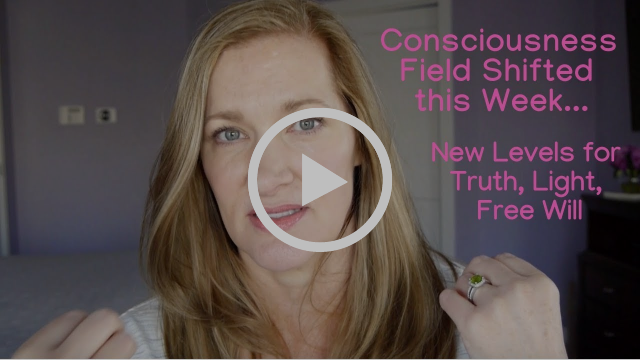 Did you feel a shift this week? We (all of us) have made more room for light. Light is made available within our own energy fields. Light transmits from the inside, to the out. Light is what we Are. Light is what we Are. Our souls are fully ascended. Our Light cannot be and need not be fully understood, on the mental plane, from within our humanity. Our Light Is. Whether we understand it or not. We cannot earn our light. It is based on our eternal identity, as Source Creator God. The One. Our Light is claimed. Not even through fancy ceremony, elaborate programs or via a master/teacher. Our Light is Ours. From Birth, pre-birth, death, post-death. Eternal-ly. Period. If it is not claimed, then it is often not used, not lived, not loved, not enjoyed, not experienced. And even then the Eternal Self is still light. The Eternal Self understands that humanity, particularly in an age like this, is confusing and the Light of Self may not be claimed, lived. Thank goodness, our Eternal identity as Light, is not dependent on what we are or aren't here, yes? Relief. To Be, our One. In this week's message, I expect you will find further relief, inspiration, encouragement and wisdom. All for being our Light here. For those newer to my work, you may be surprised or even shocked at the boldness with which this message was shared. I was quite surprised at what level of specificity we went to. I am concerned on some level about upsetting fellow teachers, teachings within the space of well-meaning consciousness. However, we don't see the value in holding back on critical insights, necessary for being our authentic, eternal light. Being polite, quiet, "respectful", positive, if it is asking us to hold back on the truth of matter is a concession we are not willing to make. Our (all of ours) light is too precious. Always. You and everyOne should have much more straightforward, unimpeded access to the eternal light that you are. And so, we speak. I cannot overlook the unique position that I am in. I have other, wonderful, choices for a career based on my degrees and professional experience. I also am not reliant on my income to support myself. I am free to speak truths, even the unpopular ones. All for Light. Here. I love how this message came through and I am tremendously grateful for Cari Murphy being there within it, which feels so special. As you listen to it, it may be fun to know that Cari and I don't plan our conversations. We go with the flow. And what was uncovered, feels so radically freeing. Thank you to all of you as well, for being a part of this. I'm so honored to be alongside you here, being our Light. The special offer is here. More detailed support for those who want to go deeper on regular basis is here. The Zion Sacred Truth Codes are proving special, unique and incredibly expansive and I invite you to consider these deeply activating recordings, uncovering and nurturing your Eternal Light. The Private Session package offer is in limited supply. If you feel led, thank you so much for sharing this message with others. I truly wish everyOne knew the Eternal Light that they are; not through deeds, works or bloodlines, rather by an inherent birthright, of all life. Rather than placing yourself in a position to pity or lash out at them, send them Unconditional Love. They may not know what it is or what it feels like but, they will receive it just the same. You were gifted kindness and compassion for a reason…use them. The Means to Fulfill Your Desires. This message from Archangel Gabriel reminds us to pay attention to the deep desires of our hearts and to remember there is always a Benevolent Outcome. Sometimes it is necessary to expand and stretch into the idea that all things are possible. It's important that we not to allow ourselves to rule anything out when first a creative thought pops into our awareness. That may be only the beginning of a dream or a desire that we truly need to entertain for our life to have meaning and purpose. The dreams that keep coming into my awareness are the ones that I now know I need to pay attention to because my Soul keeps prompting me and the desire won't go away. May I remember to give thanks in advance for the Creative Solutions arising that allow me to accomplish my dreams in beautiful ways. And may I learn to receive in a whole new way that allows me to be a clear channel for the Benevolent Outcomes available to me from the Divine Source. Thank you God, and so it is. A Vision for the Highest Good in Business. We see a world where the competitiveness in business is gone and has been replaced by a caring for one another; where no one profits at the expense of another; and where all exchanges of energy and resources are WIN-WIN, equally beneficent to all parties involved. We see selling as an archaic endeavor because there is no need for it in a world of abundance and easy access to goods and services. Accordingly, we see a trust formed among all peoples because conducting business is now a safe, honorable, and loving experience where everyone helps each other and wants only for all parties to be happy. We see employers, everywhere, treating their employees with courtesy, equality, and respect; and we see employees loving the work that they do. We see a four hour work day with lots of free time for leisure, recreation, and creativity. And finally, we see a business climate that takes the Highest Good of everyone concerned into consideration; where the Highest Good is the standard for all transactions and business relationships; and where the Highest Good and welfare of the Earth and her people is the number one priority in every business decision made. 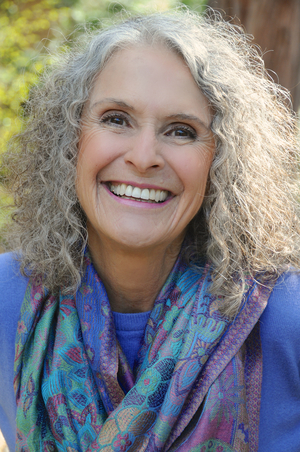 If this vision was sent to you from a friend, you can go to www.visionalignmentproject.com to sign up free for The Vision Alignment Project. The Vision Alignment Project is sponsored by The Intenders of the Highest Good. If you have a Vision you would like to share with the world, please email it to [office@intenders.com]. Your Vision may be published here!